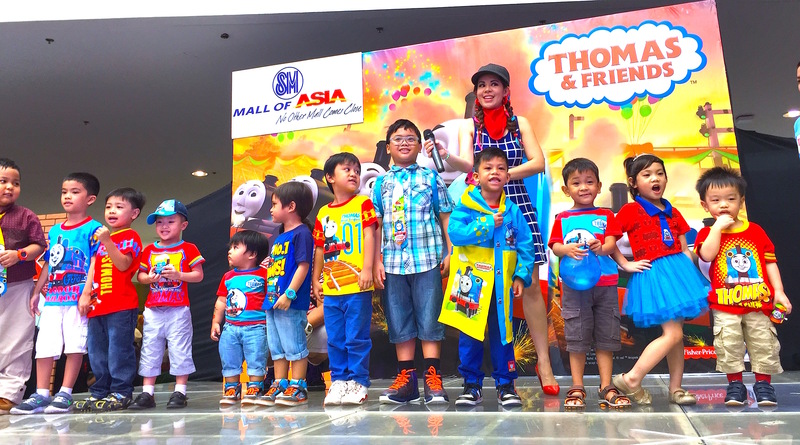 Marylaine Viernes is extremely honoured to be the host of this year’s Thomas the Train 70th Birthday Bash, brought by Fisher Price, Mattel and Richprime Global Inc., in partnership with Toy Kingdom and the SM Mall of Asia! 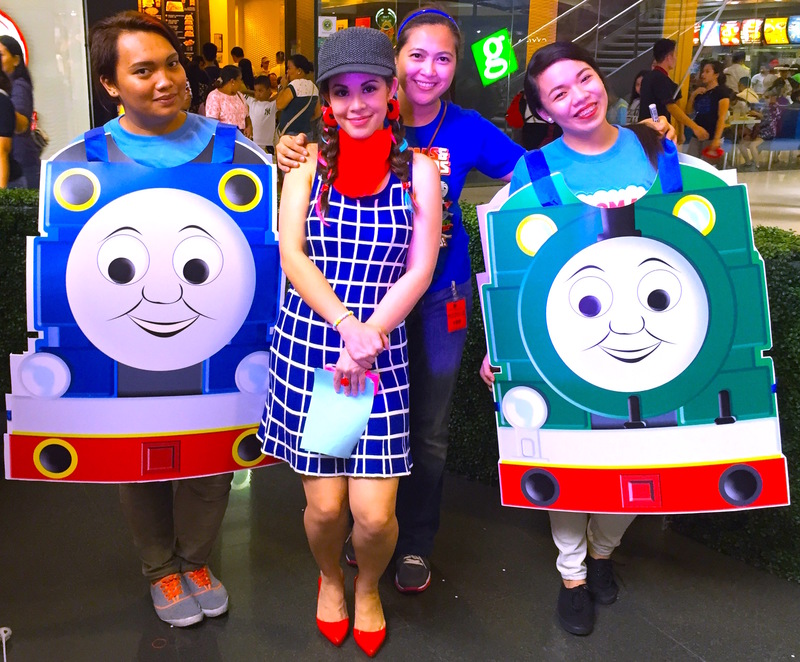 This was such a wonderful birthday bash where the beloved Thomas the tank engine, and now more popularly known as Thomas the Train turns 70 years old! 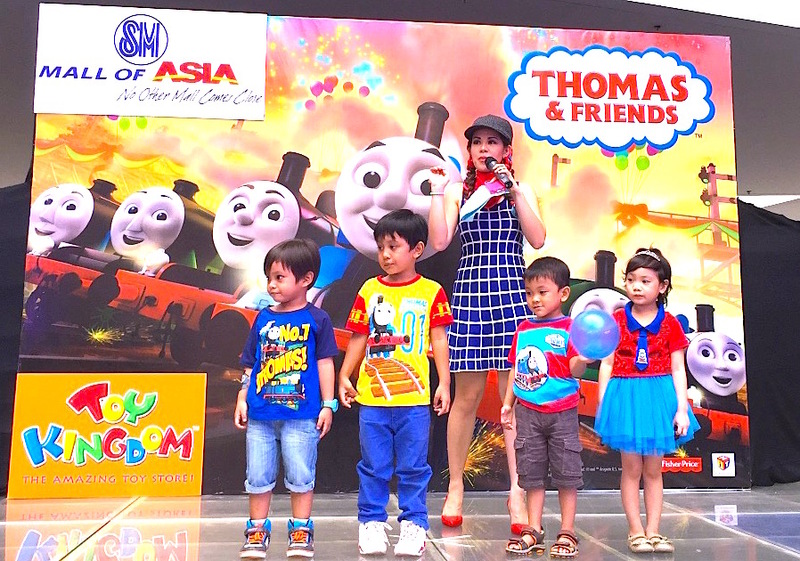 Marylaine Louise Viernes, event host – emcees for Thomas the Train’s 70th Birthday Party at SM Mall of Asia!!! 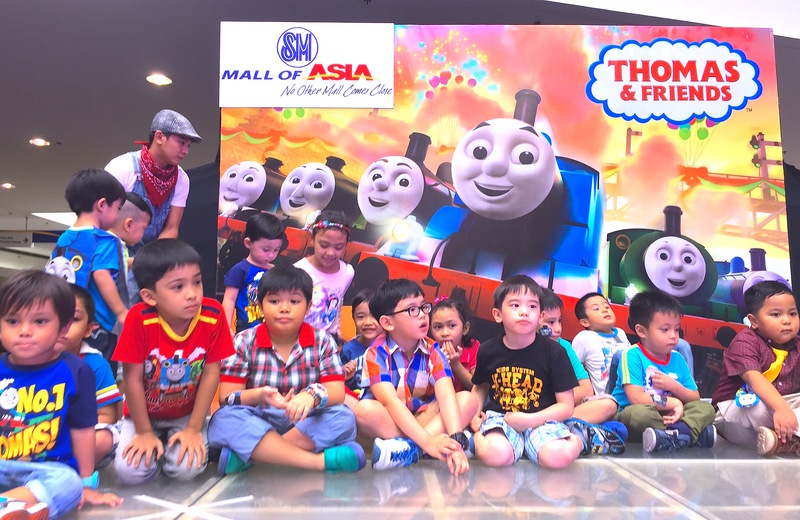 This awesome event was held at the SM mall of Asia atrium activity area, where over 300 kids plus their parents and guardians came to have fun and learn! There were tons of activities such as face and body paint, arts and crafts, squeezable sand decks, photo booths and more! 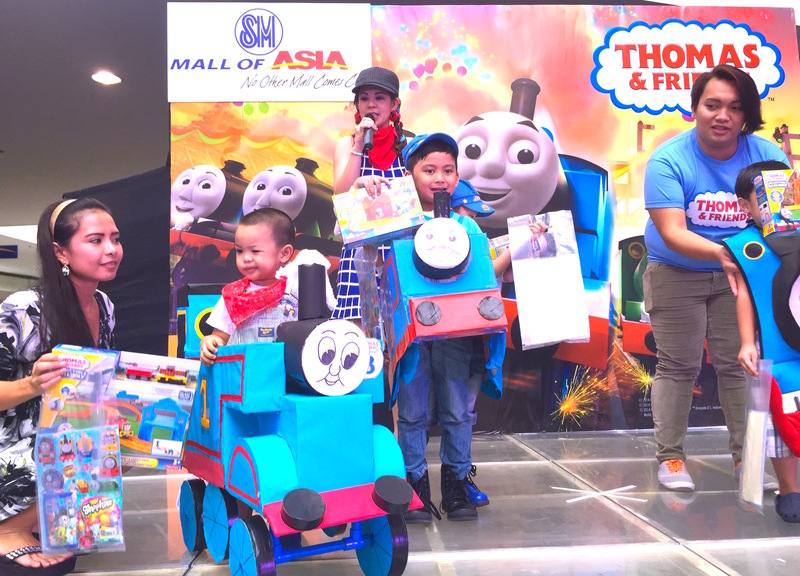 But the cherry on top of the celebration was the Railway (Runway) Show where the adorable little train-kiddos came in their Thomas-Best, and three of them took home a very special prize! 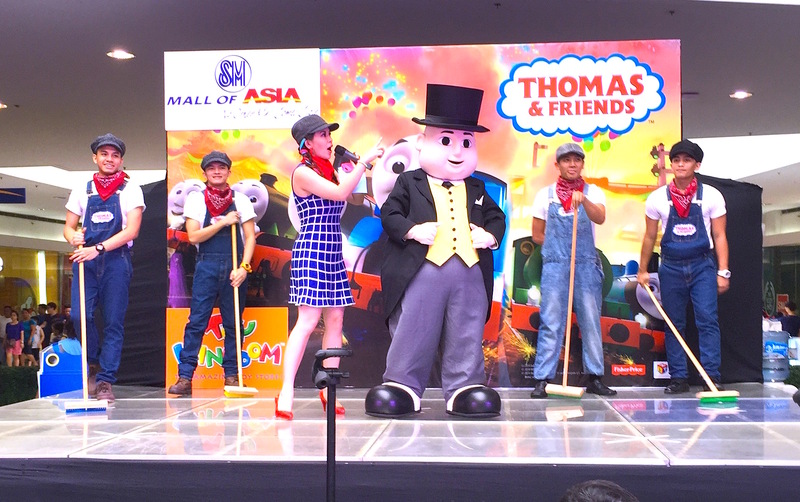 But that is not all, for Sir Topham Hatt came to join the wonderful party too! 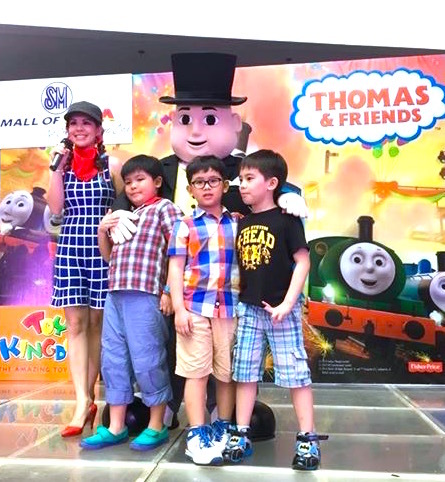 Kids and even kids at heart loved Sir Topham Hatt, who is also known as the Fat Controller from this beloved Thomas & Friends series. He even danced onstage, making the affair truly enjoyable and exciting! Afterwards, all the kids lined up and had endless pictures with him too! This event was indeed memorable and special! 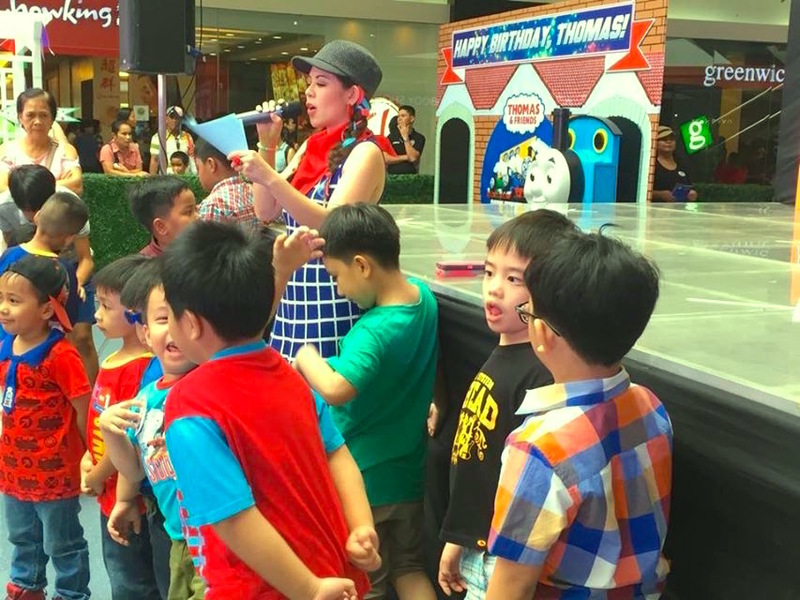 Thomas & Friends fans surely loved every minute of the event and all of them walked away with goody bags and balloons, on top of the amazing prizes given out during the festive games and surprises! What a spectacular party it was! Thomas the Train and his friends (from the hit series Thomas & Friends) has come a long way since they were created by Reverend Awdry and his son, Christopher. Thomas the Train spun of from the hit book series known as the Railway Series, where Thomas initially wasn’t the star. 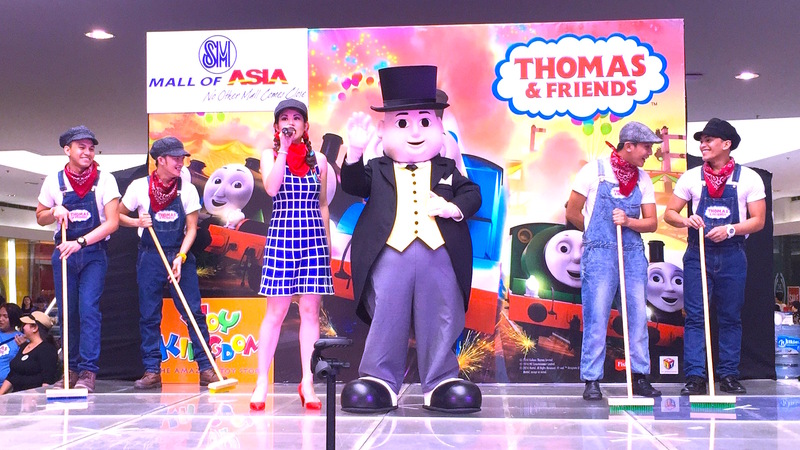 Marylaine Viernes is simply honored to be the host for the 70th birthday party of Thomas, the world’s most beloved Steam Engine and Track Superstar!